What do you mean naughty? I was just trying to say hi. I just had an unpleasant experience which ended very well because both parties were respectful. I went to a park near where my husband works so we could meet for lunch. Li Xi wasn’t there yet so it was just me and my dog Maya. My hands were quite full at this point. Maya was super-excited and, therefore, harder to control. And I was carrying two bags for our lunch. I stopped for a moment when I saw something on Maya’s head. It was a tick. I put the food down and was trying to get her to hold still so I could pull the tick off. It just so happens that a woman was walking by at the same time. Well, Maya absolutely loves people. Add this to the fact that she was already excited about the walk and things got out of control quickly. Maya got away from me and went after the woman. She tried to jump on her. Just to say hi, but this woman didn’t know that. All she knew was a big yellow dog was trying to jump on her and the dog was making grunting noises, which could have been confused with growling. Needless to say, the woman was scared and that fear quickly turned to anger. She didn’t curse or anything, but her words reflected how unhappy she was. I apologized profusely and quickly got Maya under control. I felt absolutely terrible. After lunch, I walked with Maya back to the car. 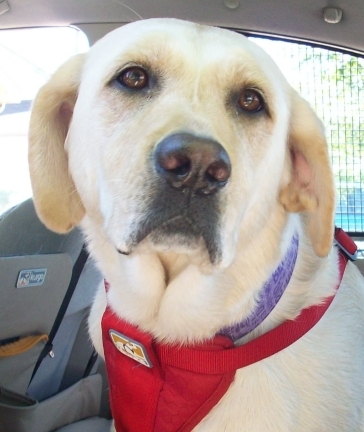 As I got Maya secured in her AllSafe dog car harness in the back seat, I saw the woman again heading to her own vehicle. After making sure Maya wasn’t going to get away and cause more trouble, I turned towards the woman with the intent of apologizing again. Before I could say anything, she actually apologized to me! Maybe she felt bad for the tone she had used, although to be quite honest her tone wasn’t so bad considering the circumstances. Of course, I apologized in return and said I am the only one who should be sorry. Can you imagine if everyone was this way? We all make mistakes. And sometimes our reactions to other people’s mistakes are not all that nice. But if everyone would just step back and take a look at the entire situation, we can all be a little more understanding. The woman knew I didn’t do anything on purpose. She understood that accidents happen. I knew that even though Maya was the one who misbehaved, I was the one who was completely at fault. I didn’t make excuses, nor did I get defensive when she got angry. Lesson for dog owners: Be responsible with your pet. Understand not everyone likes dogs and some people are deathly afraid of them. Control your pet at all times. Lesson for everyone: Take responsibility when you make a mistake and be understanding when others mess up. I thought the two incidents with Maya being attacked by other dogs were isolated incidents. But it almost happened again and with a different dog! Actually, I should say dogs because there were two. Poor Maya. This time, though, I think I handled it much better for her sake. The first time Maya was attacked, I froze. I didn’t know what to do. Luckily, the owner came and grabbed her dog and Maya wasn’t injured. The second time was too hectic because I was trying to deal with Pierson. It didn’t occur to me that the dog would turn around and attack Maya when Pierson was out of the picture. When I saw the two dogs coming, I stepped in front of Maya to protect her. When the two dogs got close, I stomped my foot and yelled “No!” They slowed down but were still approaching so I hunched down as if I were going to come at them and stamped my foot and yelled again. This time, they stopped. A couple more times and they backed off. Where was their owner? She was outside with them and was yelling her head off for them to come back. They did not listen to her. I’m not surprised. I doubt Pierson would have either if the situation were reversed. Last time, I excused the owners of the other dogs. This time, though, it was pure negligence on the owner’s part. She purposely let her dogs outside off a leash and without an enclosure. I felt like I should have said something to her, but as soon as those dogs backed off I got the heck out of there. Something happened this past Thursday and something fun is going on this week. Thursday, Maya and I were in a minor car accident. We are both okay. You can read more about it on my other blog. The article is titled “Why My Dog Wears a Pet Car Harness“. My bumper will need to be replaced from the rear end collision on Thursday. The second thing is my dad and stepmom are here from Texas for a visit! 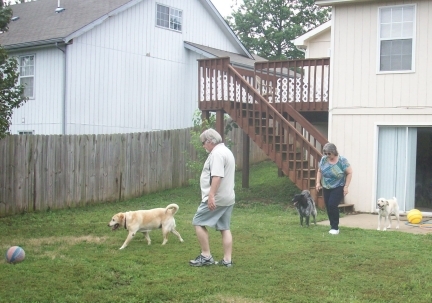 My dad and step mom reluctantly come outside to play with dogs. That’s Clover by my dad, not Maya. My step mom is trying to get Maya to play. My dad is getting Maya and Pierson to do tricks for treats. 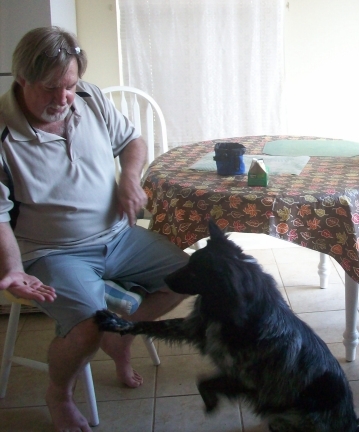 Pierson shakes my dad’s hand in order to get a treat. Maya and Pierson anxiously await my dad’s command so that they can earn a treat. My step mom tries to get Maya to do a dog trick. Also, my friend Heather came over with her dog Clover again. Pierson, my dog aggressive boy, tried to be naughty but Clover just ignored him. It all went very well. My friend heather with her dog Clover. Pierson is standing by keeping an eye on Clover. He’s still not sure what to think of her visits. 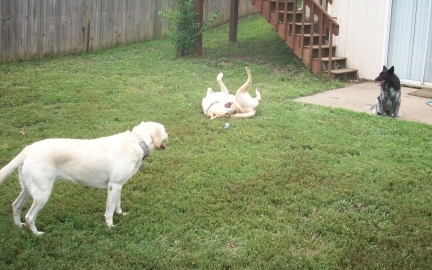 Clover is rolling around in the grass while Maya and Pierson look on. “What is this strange girl up to?” they wonder. For more great pet photos around the dogosphere, check out the Wordless Wednesday blog hop link below. In today’s busy world where you get up early for work and get home late, you probably have to walk your dog when it is dark out. The darkness can be worrisome for a pedestrian, especially when crossing the street. You might see a car coming because of their headlights, but they probably won’t see you until the last moment. So what can you do to protect yourself and your pet? 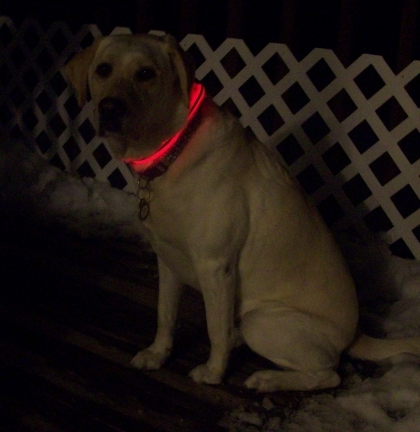 Try a dog collar that doesn’t just glow in the dark, but also lights up in the night. The NiteDawg is just such a dog collar. You don’t have to wait for a vehicle’s headlights to reflect on the dog collar for the driver of the car to see it. They can see it from a distance because the collar has an LED light. We received one of these Night Dawg dog collars to try and I really liked it. It was super easy to adjust and fit around my Labrador Maya’s neck. I simply took the light source out, cut it down to size, then put it back into the collar. It was easier than I thought it would be. I can let Maya wear the collar all the time just like any other dog collar. Or I can put it on her just for when we go out walking at night. The NiteDawg collar has three settings for the light: off, steady-on, and flashing-on. To change the settings, I simply push a little button on the collar. 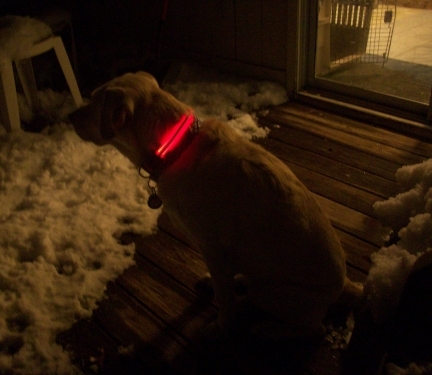 Maya is on our back porch wearing her new NiteDawg light-up dog collar. The light runs on a battery. To replace the battery, you would have to remove four small screws on the small battery pack. The round battery is a CR2032 3V battery. A searching on Amazon shows that this battery is inexpensive – about $5 for five! By the way, the light switch is water-resistant. It’s not waterproof, so you dog can’t go swimming in it. But it should be fine if you are walking your dog in the rain. Although I do really like this product, there are two things I don’t like. First, the rubber-like light source was bent from the packaging and is a bit warped around Maya’s neck. I’m sure that over time, the shape will become more proportionate looking. This really wasn’t a big deal, just a minor aesthetic thing. Second, you have to unscrew the case to replace the battery and the screws are really small. It can be a hassle for someone who is older… or in my case, someone who doesn’t have a screwdriver with that small of a head. Oh, I guess another thing which some may not like, the collar only comes in red. Overall, I think the Night Dawg light-up dog collar is worth the price of about $15.00 plus shipping. It is well-made and a super-fun way to walk your dog at night. You can also use it to keep an eye on your dog when you let him out at night to go potty! We received no monetary compensation for this post. However, we did receive the dog collar to try for free. Our review is 100% our own. It was difficult getting a good photo in the dark because it came out as a red blur on black. So I put Maya on our snowed-on front porch in front of a light source. We all eat healthy. 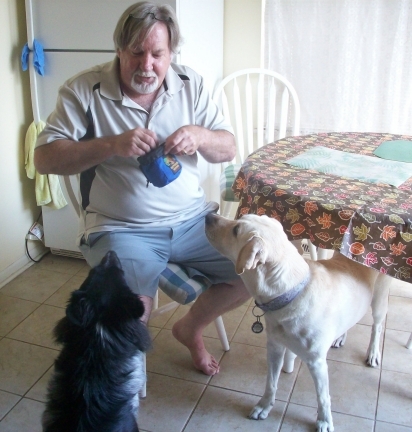 Maya & Pierson get a good quality dog food in measured portions. I feed my dogs twice a day so that they don’t eat a large amount at one time. Eating too much at once can cause bloat, which can be deadly for dogs, especially big dogs. One thing I would like to try is a slow pet feeder dog bowl. Pierson has a rabies tag, the Home Again tag with his microchip number, and his id tag with my phone number. I make sure the fenced yard is kept repaired and any dug holes are filled up. Dougie wears a dog life jacket when he is out on the water. Dougie is not my dog. 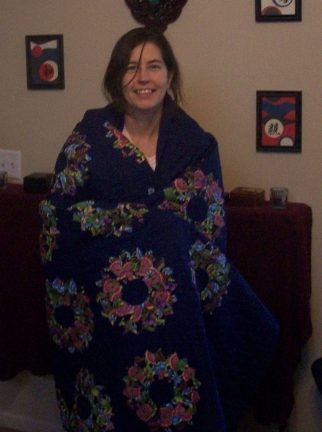 Maya has one, but I don’t have a picture of her wearing it. Pierson has yet to go swimming so he doesn’t have one yet. I keep these in my car along with pet identification cards with vet info, a blanket, water, and extra leashes. This sign goes on my car window whenever my dogs ride with me in the car. It has their photo and emergency contact information. Dog toys that I know my dogs will chew to pieces are kept picked up and can only be played with under supervision. After I heard about a dog running with a stick in his mouth and the stick getting jammed into the back of his throat, I try really hard not to let Maya play with sticks. The first thing I do after a snow is shovel and de-ice the steps. These steps are the only way my dogs can get to the fenced yard and I don’t want them to slip. Warm water is used when they get inside to remove the salt. 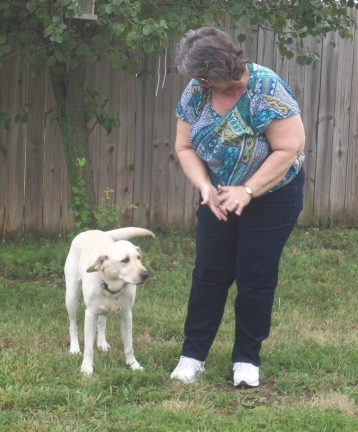 How do you practice pet safety? Am I missing anything important? 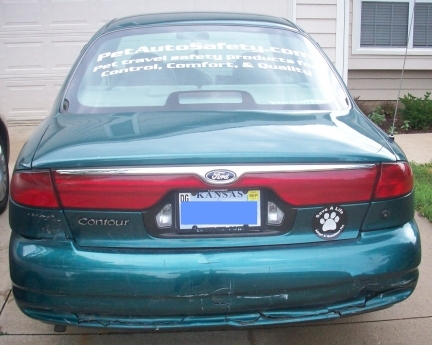 For more Wordless Wednesday pet photos, check out our Pet Auto Safety Blog for the blog hop. Although my Maya is in the spirit of the 4th of July, it is still not a good idea to let her go watch the fireworks. People love fireworks. The colorful lights exploding in the night sky dazzles our eyes. The explosion excites us as we thank God that we live in the United States of America. But despite how much we love fireworks, most dogs do not like them at all. Every year after the 4th of July the shelters get a higher volume of lost dogs. Lost dog posters can be seen in the park and the neighborhoods. Some dogs escape their yard as they try to run in fright from the terrible noise of the fireworks. Many other dogs were at the park with their owners at the fireworks when they got away. Some dogs might eventually find their way home thanks to a kind stranger or animal control, but others may never make it back. When you go to watch fireworks this year, be sure to leave your dog safe and secure at home. If possible, keep them in a secure area inside the house. A dog in the back yard may jump or dig out in order to escape the noise. Or if he is on a chain he may break the it, slip out of his collar, or hurt himself trying to break out of it. If your dog is crate trained, keep him inside the house and inside his crate. If he is not crate trained, keep him in a quiet room. If possible, keep him in a room with no accessible windows – such as the bathroom. You can also help your dog by turning on some familiar noise such as the radio or television. And even if your dog is indoors, make sure he is wearing his collar or tags. A desperate dog just might be able to find a way out. I have heard of dogs breaking out of windows, going through air ducts, and even managing to open an unlocked door. Tags will help to bring them home. If you find a dog this year, contact the local animal shelter and humane society. Post in the classified ads of your local newspaper. Post online too. Craig’s list is a popular place to post online. Leave fliers at local neighborhood centers and notify local residents. 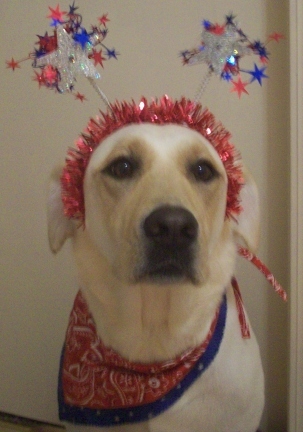 If you don’t want your pet to be left out of the festivities, take your pet to the park for the 4th of July picnic. But please leave take him home before the fireworks! Enjoy the Independence Day celebration and come home to a safe and happy pet. Rover, Pick up All Your Dog Toys! 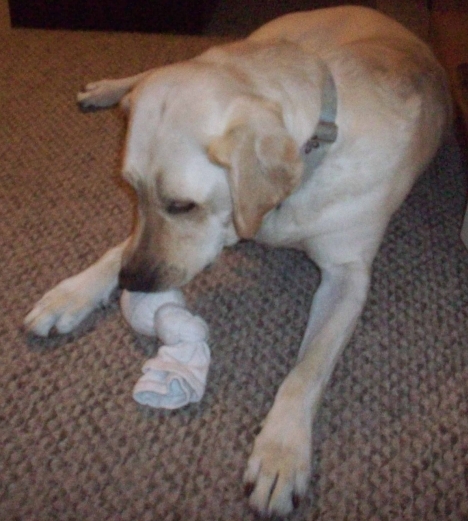 Maya is playing with a homemade sock toy. If you’re like me, you buy a new dog toy at least once every couple of weeks. That is a lot of dog toys. And it is expensive too. So how can you save money and what do you do with them all? When my dog Sephi passed on, I was left with a bunch of pet bandanas. Maya and Pierson didn’t look good in them so I gave them to someone so they could make dog toys with them instead. I got some of those toys and the rest are being sold for $1 each and each $1 gets donated to a good cause. So if you have old clothes which are not in good shape to donate, cut them up to make braided dog ropes or other dog toys. 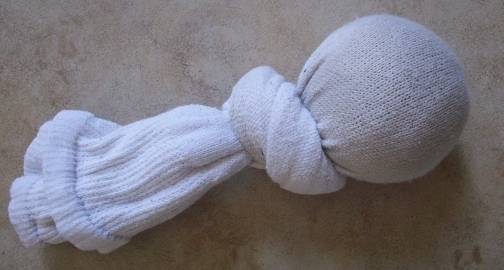 One which I like to do with old socks is put a tennis ball or even a plastic water bottle inside and tie the end. If you not only buy toys and make them too, you could be completely overwhelmed with toys. I find that the newer my dogs’ toys are, the more they play with them. So to keep them interested in all their toys, I let them play with new toys for a few days, put them away, then take out some older toys. Since the dogs haven’t played with the older toys in a while, they are like new! I do this with about five sets of dog toys over a monthly period. 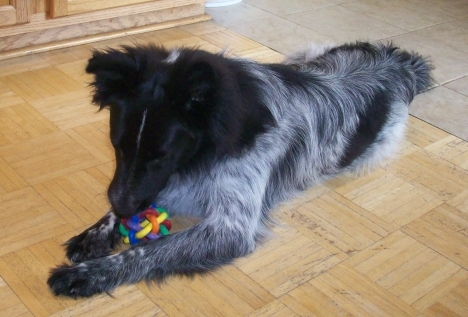 Be careful about letting your dog chew on certain toys when you are not home. Homemade toys are great but they can be easily ingested if your dog is allowed to tear them up. Always watch your dog when he is playing with a destructible dog toy and put it away when he is not playing with it. In order to keep yourself or other people in the household from falling and tripping over all the dog toys, put them in a dog toy box. I use an inexpensive laundry basket as a toy box. It works great and I can put it in a room where the dogs are not allowed so that they can’t take all the toys out at once and leave them all over the house. How often do you buy your dog toys? Do you make your own dog toys too? Where do you put them all? Blue Pearl is an emergency pet hospital with 24 locations in the United States. We hate to think about pet emergencies, but they unfortunately do happen. To handle a pet emergency it is good to have a pet first aid booklet and emergency kit available. And you should know where your nearest emergency pet hospital is located. Thankfully, I have a pet first aid booklet from Blue Pearl and a Blue Pearl emergency pet hospital within 45 minutes of where I live. Sad to say, I have had to visit the emergency pet hospital twice in the past couple of months. Although the pet emergency was stressful, the doctors helped me feel confident in their services. They were very knowledgeable and spoke to me with compassion regarding the pet emergency care choices for my dogs. Even though my dog Persephone (Sephi for short) passed away, I am confident in the care that she had been given at Blue Pearl. Pierson was the next dog I took to the Blue Pearl emergency pet hospital and he too received great care. He is doing much better now after his emergency. The first aid booklet I have is from Blue Pearl. It covers symptoms which indicate a pet emergency as well as some first aid action that can be taken just before you go to the emergency pet hospital. Emergency first aid covered in this booklet includes poisonings, diarrhea, seizures, a skunk recipe, and so much more. Blue Pearl emergency pet hospital has locations in Florida, Georgia, Illinois, Kansas, Kentucky, Michigan, Minnesota, Missouri, New York, Tennessee, and Virginia. If you live in any of these states, visit BluePearlVet.com and ask them for a pet first aid booklet. This is not how to greet a dog you just met. We are tempted to greet strange dogs the same way we greet our own – with a high pitched voice, petting on the head, or even hugging. But if a dog doesn’t know you, he may react negatively to such a greet. The high pitched voice can be threatening, as could reaching for his head or hugging him. 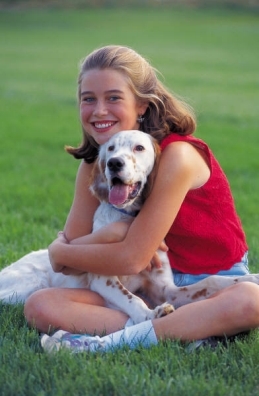 Children, especially, need to know how to properly greet a dog. 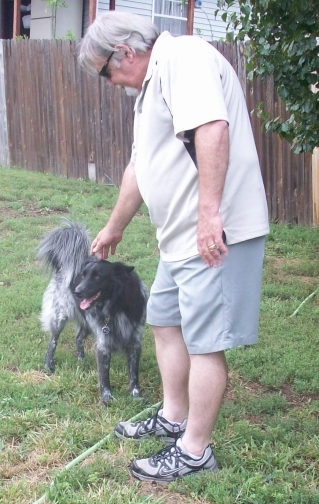 We found this great and informative article on Hub Pages titled “How to Meet a Dog“. Not only does the article go over the proper way to greet a dog, it also tells you how you can help your dog learn to properly greet people. My dog Maya gets super excited when she meets someone new. 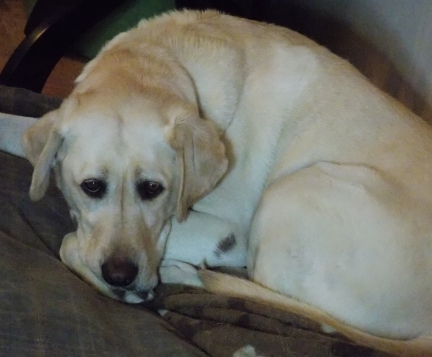 And as a result, she can be a bit difficult to handle and very intimidating to someone who doesn’t know dogs very well. 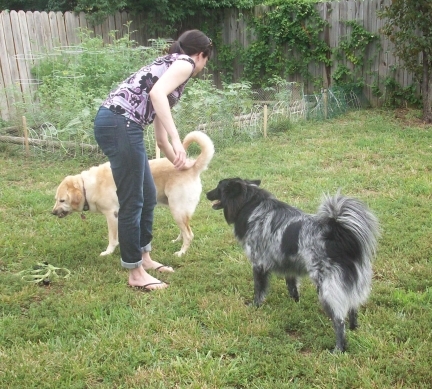 The information I learned on the article, “How to Meet a Dog” has been very helpful. 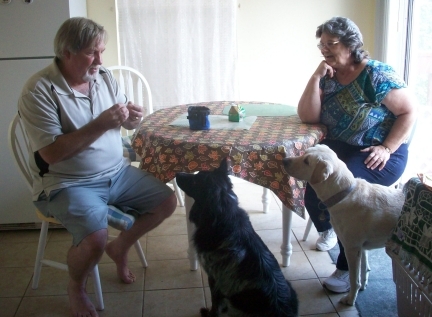 Check out Hub Pages for the article “How to Meet a Dog” and other great articles. 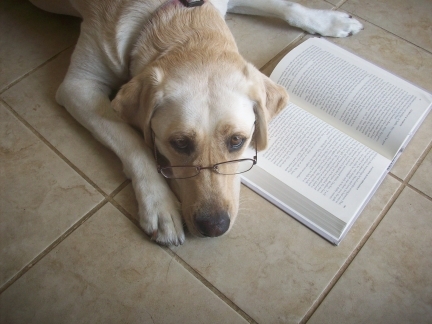 Hub Pages has a great community of pet lovers who share their expertise on dogs and other animals. Every year, people and their pets die from falling into a frozen pond. A pond may look frozen, but don’t take a chance. Don’t walk on a frozen pond, lake, or stream. And don’t let your dog run loose around a frozen body of water. Below are a couple of articles about dogs being rescued from frozen ponds. The video above is from the second article from The Daily Tail. This is a video of a dog being rescued from a frozen pond. Luckily, he was a Pyrenees dog breed with a thick coat and was able to survive for a long time in the frozen water before rescuers got there. Generally, people or dogs only have minutes before deadly hypothermia sets in. Depending on the dog breed, a dog could survive in ice cold water longer than a person could. So if your dog falls through an frozen pond or lake, call for help immediately. Don’t try to rescue a dog from a frozen pond by yourself as you could get trapped as well. Please be safe this winter!